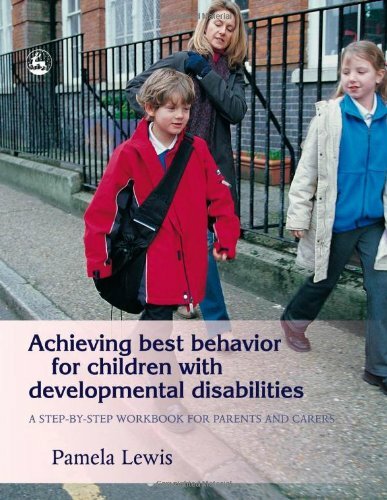 Workbook designed specifically for parents of children with developmental disabilities. It offers practical, hands-on advice and step-by-step instructions for drawing up and implementing behavior plans that successfully address and improve challenging behaviors. Includes interactive checklists and activities that help to monitor and assess behaviors and track a child's development. The author also explains the reasons for children's behaviors and gives advice on how to deal with specific situations, from shopping trips and getting a haircut to dentist appointments and children's birthday parties.